1960’s, stone-age Turkeys, Japanese Samurai, thief or flower themes from Netent! 1960's, stone-age Turkeys, Japanese Samurai, thief or flower themes from Netent! As part of our continuing drive to diversify our bitcoin slots offering, we have included five more from Netent. The themes are based on fun, wackiness, Samurais, cat burglers or flowers. 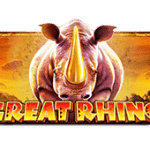 Getting started shouldn’t be difficult, so to help we have provided links on all our slots leading to our favoured casinos. Let’s just face it – no matter what time of year it is, who doesn’t dream about surf and sea? 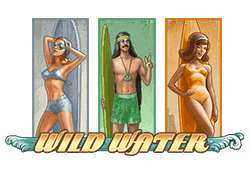 To that effect Netent has come out with a groovy 5-reel, 3-row and 20 fixed paylines slot they’ve called Wild Water. This 1960’s surf and sea themed slot gives you the chance to collect up to 400,000 coins with the tide! 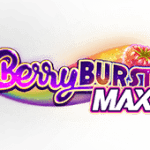 The slot includes a wild, scatter, free spins and bonus. The white shark symbol can glide onto any reel replacing all other symbols except the scatter and can expand to engulf an entire reel if it will gain you additional prizes. You will find a surfer guy and surfer girl symbol. The surfer guy will unlock 15, 30 or 60 free spins while the surfer girl will credit you with 40, 400 or 2,000 coins all with 3, 4 or 5 symbols. 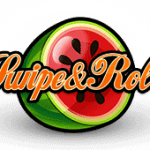 Surf Team Bonus and Surf’s Up Bonus can credit you with 200x or 20x your bet respectively! Play Wild Water Bitcoin slot for free. Netent has given new meaning to the slot name Wild Turkey in the 5-reel, 3-row and 1 to 20 variable paylines slot where you can win up to 800,000 coins! The game offers several great features to add gravy. The turkey statue wild appears during the main game and has the ability to replace all other symbols. 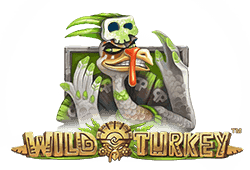 The same turkey statue wild symbols also act as scatter with 3, 4 or 5 of these symbols anywhere on the spaces giving you the opportunity to play 15, 30 or 60 free spins. 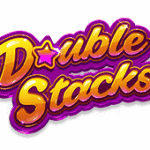 During the feature, you can land stacked wilds on a reel that also award you with an additional 2 free spins. Play Wild Turkey Bitcoin slot for free. The Japanese Samurai themed game Thunderfist is a 5-reel, 3-row and 243 ways-to-win bitcoin slot from the developer with prizes of up to 1,215,000 coins! The wild symbol can appear on any reel either partially stacked 1 or 2 spaces high or fully 3 spaces high. It can substitute for any other symbol except the scatter to form winning combinations. The bronze gong symbol acts as a scatter which can appear on any reel. 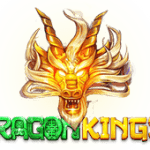 When 3, 4 or 5 bronze gong scatter symbols appear on any reel then you unlock 10, 15 or 20 free spins respectively with a random multiplier applied to any winnings that may range from 2x to 5x. 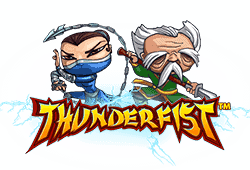 Play Thunderfist Bitcoin slot for free. 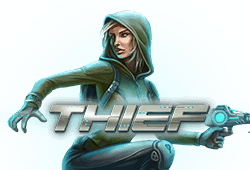 Being a thief nowadays has gone high tech as you will discover in the 5-reel, 3-row and 25 fixed paylines bitcoin slot from Netent called Thief, where you can win up to 68,550 coins! The cat burglar expanding wild can slip onto the 2nd, 3rd and 4th reels and substitute for all other symbols except for the regular and adrenaline scatter symbols. The slot has a regular and adrenaline scatter. The diamond scatter symbol is only available during the Adrenaline Free Spins. 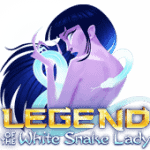 A combination of 3 scatter and adrenaline scatter symbols unlock 10 free spins feature. Three adrenaline scatter symbols also adds a diamond scatter symbol where you can win 25, 200, 1,000 or 5,000 coins. 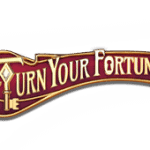 During this feature only the thief tool symbols are available giving you a chance at higher value winnings. 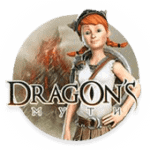 Play Thief Bitcoin slot for free. 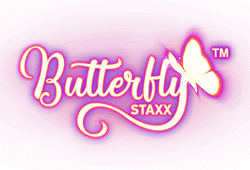 Released in June 2017, Butterfly Staxx is the 5-reel, 4-row and 40 fixed paylines slot from Netent which takes you inside a magical world of beautiful flowers and glowing butterflies as you play for the chance to win up to an enchanting 48,000. 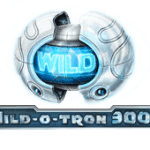 The wild symbol can appear on any reel while substituting for all other symbols except the scatter during normal games and re-spins. The scatter symbol can appear on any reel. Three, four or five scatter symbols unlock 5, 6 or 7 free spins played on an alternate reel with cocoon symbols. The active cocoons turn into butterflies shifting to the left most reel that are not occupied by a butterfly already and enough butterflies can combine to form win lines. The slot includes a Re-Spin Feature triggered by a reel of stacked butterflies. These butterflies are transferred to the 1st reel and remain sticky and you are awarded a free re-spin. While re-spinning any new butterflies also become sticky and you get another re-spin and this continues until you fail to produce additional butterflies at which point your winnings are calculated. 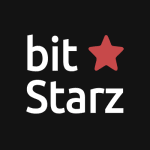 Play Butterfly Staxx Bitcoin slot for free.